Did a distant race of ancient aliens once inhabit the lands of the Bible? Do the ancient writings of the Bible and other texts provide proof of their existence? Did the �prophets� have close encounters with ancient aliens? Were the �angels� physical beings sent to perform specific tasks by their alien masters? Ancient Aliens in the Bible answers these questions and more. 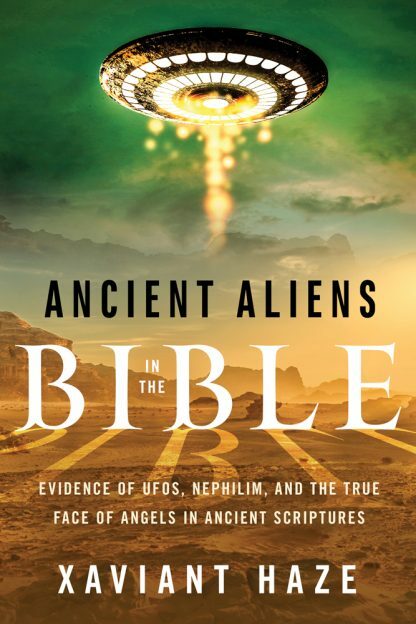 Analyzing the historical and archaeological evidence, and using the work of former Vatican translator Mauro Biglino as his guide, Xaviant Haze provides ample proof that what our ancestors described in ancient biblical texts were real-life events and not visions. The UFO encounters in the Bible are described as concrete experiences by flesh-and-blood beings. The angels were assigned specific duties and struggled to carry them out; some even rebelled and took earthly wives, forbidden by their superiors. Lamech�s wife gave birth to the son of an angel with glowing eyes. Moses was led to the promised land by UFOs. Noah�s great-grandfather, Enoch, got a heavenly tour of space. Your view of the Bible will never be the same. Xaviant Haze is a researcher, teacher, and archivist of ancient manuscripts with a keen interest in lost civilizations, ancient aliens, ancient giants, and the myths of the prediluvian world. He is the author of 10 books, including Ancient Giants of the Americas and Aliens in Ancient Egypt. His free online library, Xaviantvision.com, is home to one of the most complete collections of metaphysical, spiritual, and alternative history books and podcasts in the world, with links and resources to all major works in the field. Haze resides in a haunted house in South Beach, Florida.